Carles Lalueza-Fox - Speakers Academy vindt de beste spreker en dagvoorzitter voor uw bijeenkomst. | Speakers Academy vindt de beste spreker en dagvoorzitter voor uw bijeenkomst. Carles Lalueza-Fox(Barcelona, 1965) is a researcher at the Institute of Evolutionary Biology (CSIC-UPF) in Barcelona, Spain. He did the first PhD on ancient DNA in Spain (1995, University of Bacelona), subsequently being a postdoctoral researcher at the Departments of Biological Anthropology of the University of Cambridge (1997) and Oxford (1998) in United Kingdom. Afterwards, he become Assitant Professor (1998-2004) and Lecturer (2004-2008) of Anthropology at the University of Barcelona, moving to a position of Researcher at the Spanish Research Council (CSIC) in 2008 until present. He has an ancient DNA laboratory at the Parc de Recerca Biomèdica de Barcelona (PRBB). Lalueza-Fox is a leading expert on paleogenetics. He has published almost one hundred papers in ISI publications, dealing mainly with the genetic analysis of past human populations for reconstructing ancient migrations, populations affinities and ancient demography. His works include the first complete mitochondrial genome from an extinct species –the moas from New Zealand-, the first Cro-Magnon DNA, the first functional analysis of an ancient gene –a pigmentation gene from a Mammoth- or the first Mesolithic human genomic data. He is currently working on the first complete genome of an historical character, that of king Louis XVI of France. 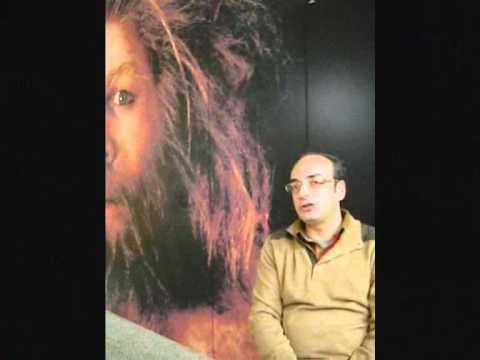 Since 2004, he has focused especially on Neandertal genomics, mainly working with a Neandertal family group from El Sidrón site in Asturias (Spain). 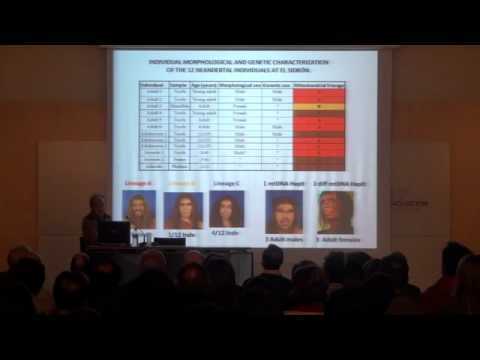 He has been pioneer in retrieving specific nuclear genes from Neandertals, including hair pigmentation and language genes. He has collaborated in the Neandertal Genome Project, directed by Professor Svante Pääbo, from the Max Planck Institute at Leipzig (Germany). This project has been able to produce the first genome from an ancient hominin species, a work selected for the journal Science as the most significant scientific advance of the year. He was awarded for his research with the prize Ciutat de Barcelona on Scientific Research in 2007. Beyond his research, he has published several popular science books, mainly on subjects of human evolution, archaeogenetics and modern human diversity. For this task of science dissemination, he has been awarded with the VII European Award of Popular Science (2002 Valencia), the VII Award for Scientific Communication from the Catalan Fundation of Research (2003, Barcelona), the First Award of the International Prize Esteban de Terreros (Spanish Fundation for Science and Technology 2005) and the XVIII Award Prisma Casa de las Ciencias (2005, La Coruña). His last book is “Palabras en el Tiempo”, published by Editorial Critica in 2013.